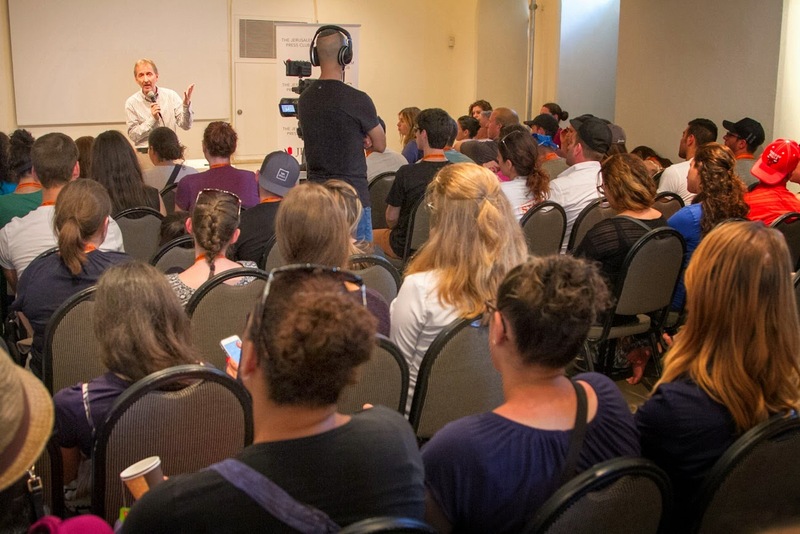 Mr. David Horovitz, founder and editor of "The Times of Israel," spoke about the Israeli-Hamas conflict for Taglit-Birthright Israel: Mayanot. 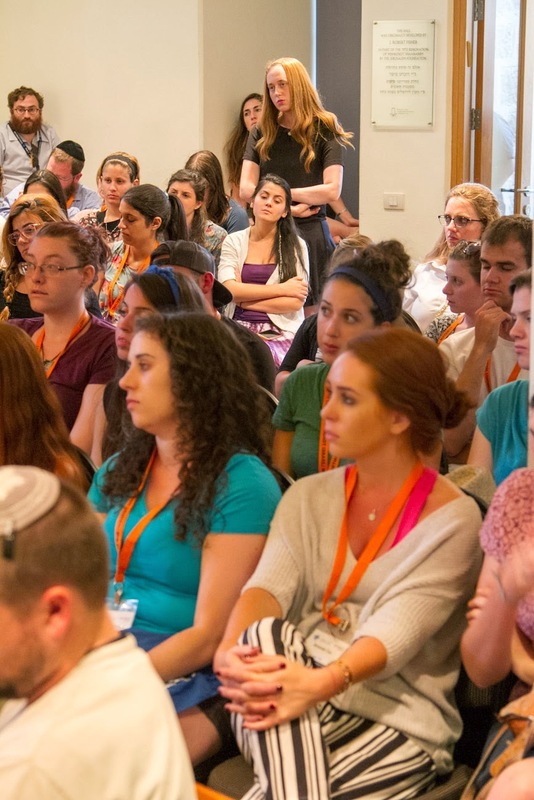 While the situation in Israel is turbulent, Taglit-Birthright Israel: Mayanot invited one of the leading commentators on the current conflict to date, to speak to its participants. 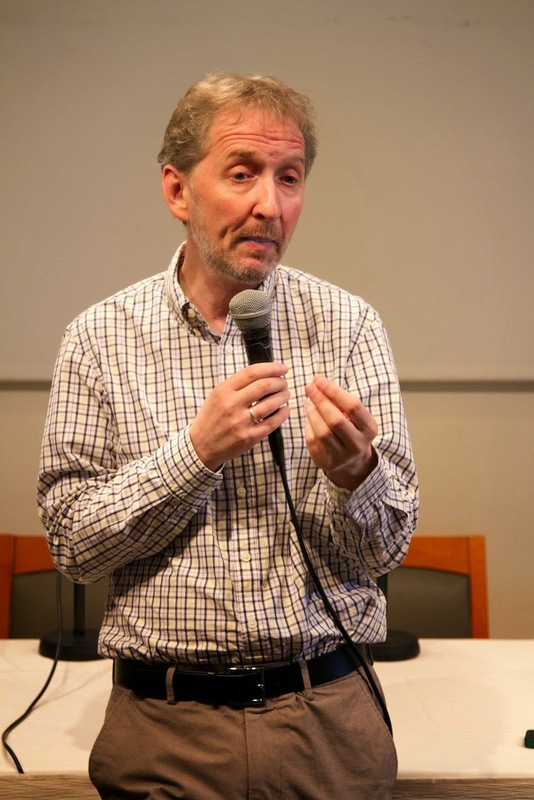 Mr. David Horovitz, founder and editor of The Times of Israel online magazine, discussed the reality of the conflict, shining a light on the protective measures taken by Israel to shield its citizens and spoke about the outrageous and frustrating criticism by the global community and media. The lecture was dedicated in loving memory of Myra Kraft z”l, on the occasion of her third yahrzeit. She was a friend to the Gestetner family, a generous philanthropist supporting causes all over the globe; she had a deep enthusiasm for Israel and was devoted to women’s rights and their education, including the Mayanot Women’s Learning Program. Joining the large audience were Shluchim from West Hempstead New York, Rabbi Yossi and his wife Chaya Rachel Lieberman who were leading the Birthright group, as well as Rabbi Zalman Kravitzfrom Los Angeles. 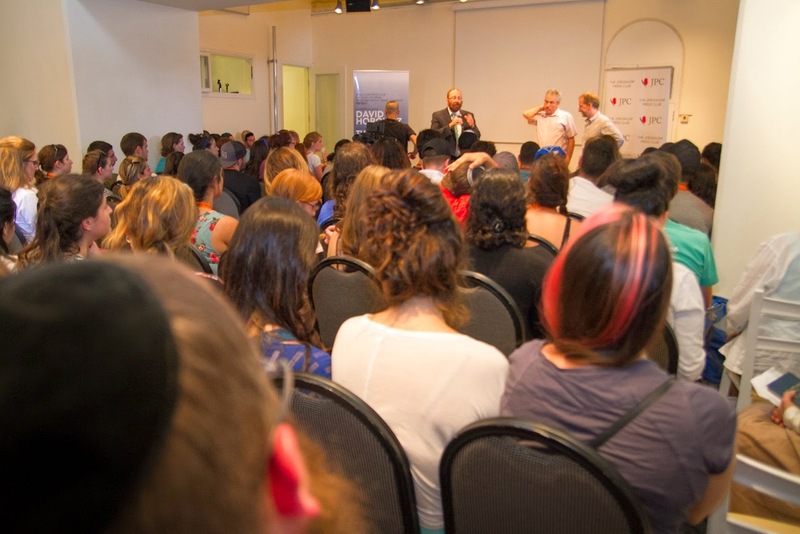 The event was co-sponsored by the Jerusalem Press club and the Times of Israel and took place at the prestigious Jerusalem Press Club in the historic neighborhood of Yemin Moshe. 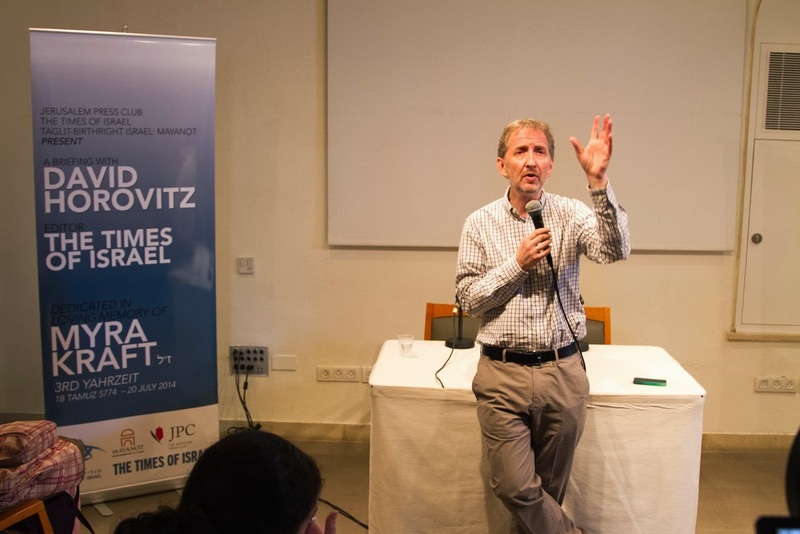 Mr. Horovitz gave a deeply insightful and pragmatic look at the conflict. He illuminated for many students and participants, how the conflict unfolded and the many possible ways it can continue to unfurl. Mr. Horovitz touched on the misrepresentation of the conflict and various issues relating to the current turmoil. He mapped out past peace treaties with Jordan and Egypt, and examined this new era of delegitimizing Israel and the danger extremist Muslim groups pose to Israel and the global community at large. Rabbi Gestetner concluded the event by thanking the staff at the Jerusalem Press Club, and the Times of Israel, and said a prayer for the safety and security of the citizens of Israel and the soldiers on the frontline.